Qaumit Awaz is an Urdu Language Newsportal. 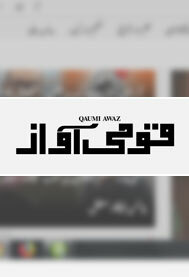 Qaumi Awaz is an Urdu language newspaper started by Jawaharlal Nehru in 1937. It is puplished by Associated Journals Limited. © akhbarurdu.com, Indian Urdu Media Info website.